The 10-hour flight from Tokyo to Yogyakarta, Indonesia, might as well be a trans-dimensional teleportation trip to another world. 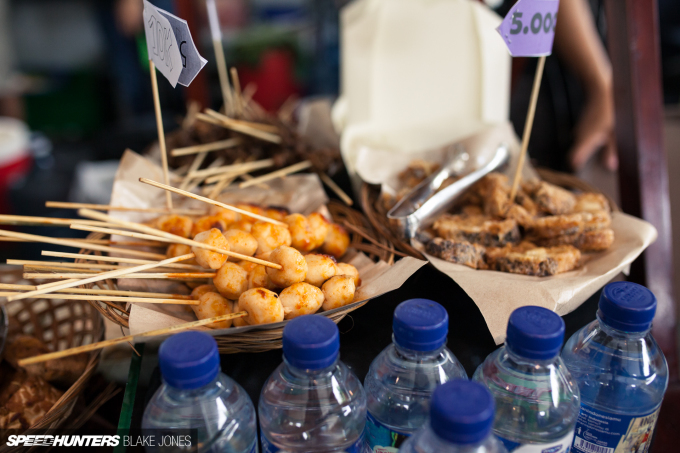 The structure, modernity and cleanliness of Japan’s capital are traded in for a chaotic cacophony of scooters, roadside food vendors and revelling university students. 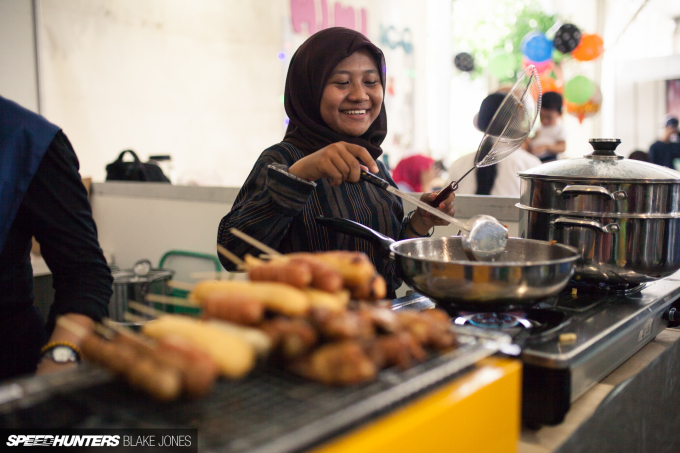 It’s disorienting at first, but before long the traveller’s body attunes to underlying rhythm of the city and it becomes obvious why Jogjakarta is widely considered to be the heart of Javanese culture and education. 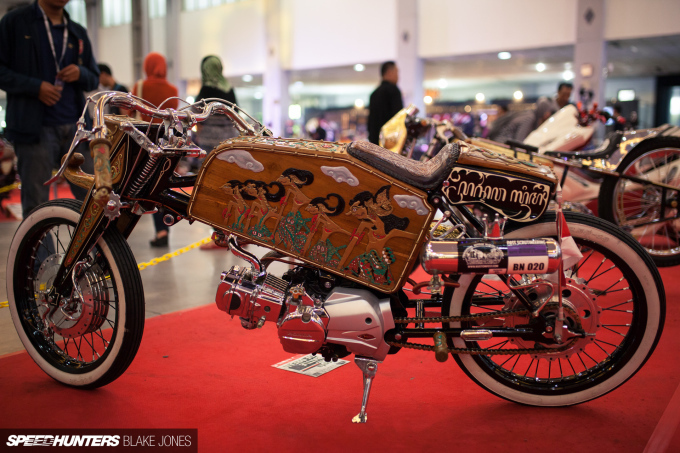 I was in town for three short days recently to check out the annual Kustomfest show, which, as the largest custom culture event in Indonesia, brings in droves of fans from the far reaches of the Indonesian archipelago, and, in recent years, even further abroad. 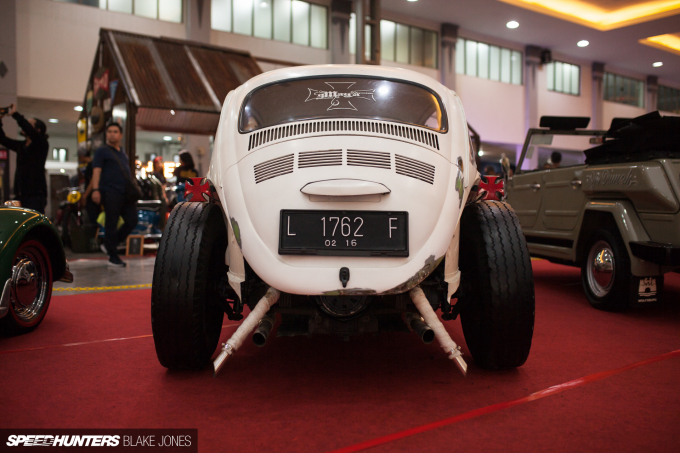 It’s a long way to travel for just one event, but since visiting the Jogja Volkswagen Festival in November last year I’ve been hooked on the unique approach to modification that the Indonesian customisers take with their vehicles. 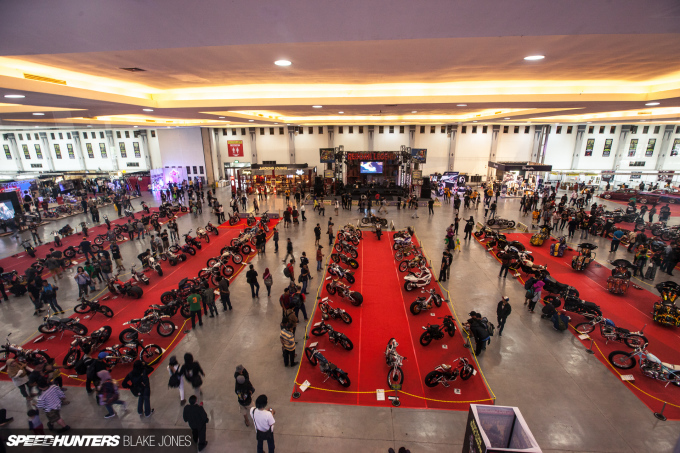 For six years now Kustomfest has filled the Jogjakarta Expo Centre with wild creations. 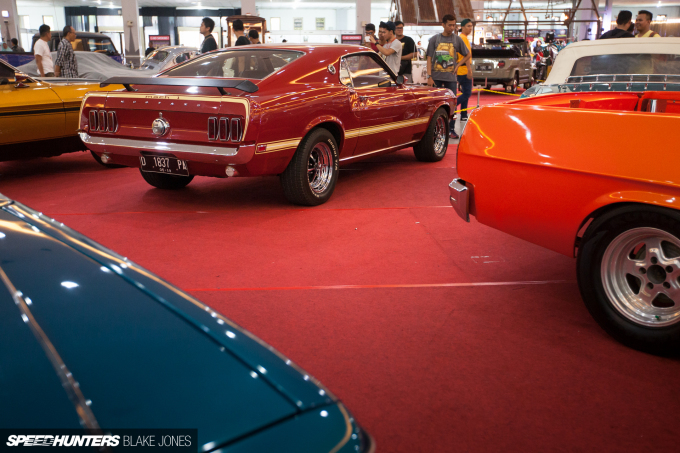 Talking to some repeat visitors, the bar continues to be lifted, and not just in terms of quantity but in the quality of cars and bikes on display. 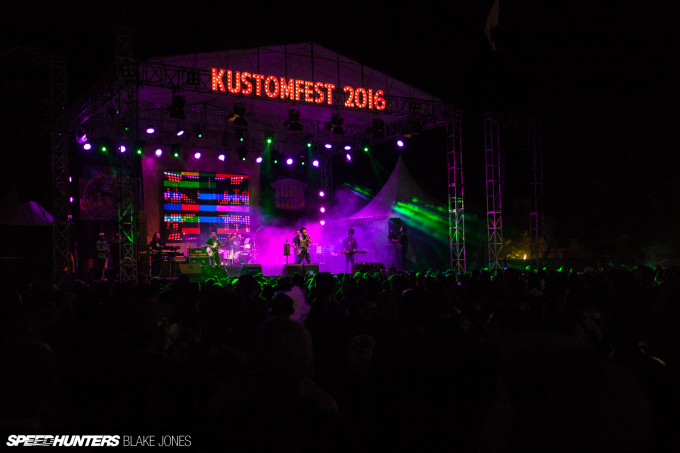 But the kustom kulture that Kustomfest celebrates is about much more than bikes or cars. 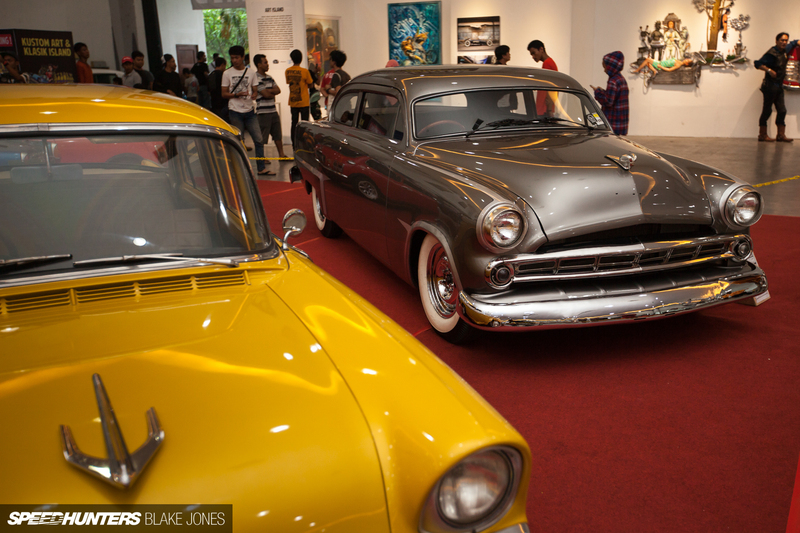 For adherents to the kustom credo, it’s a way of living, a universal attitude that anything can be made better or different by the application of the owner’s creativity and handiwork. 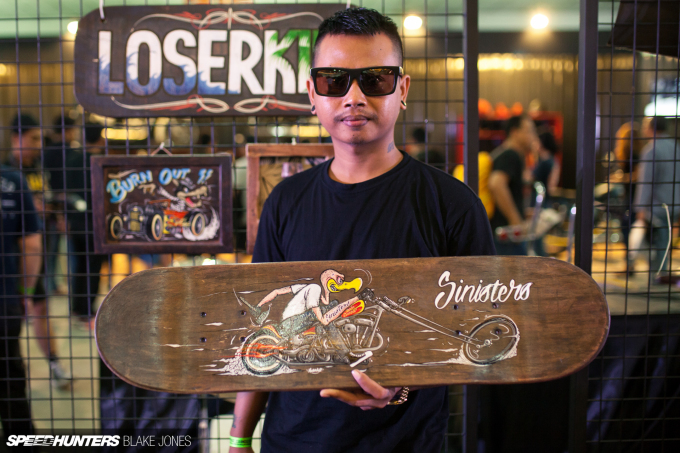 As is to be expected at an event like Kustomfest, inspiration is largely provided by the greasers, drag racers and bikers from mid-century USA. 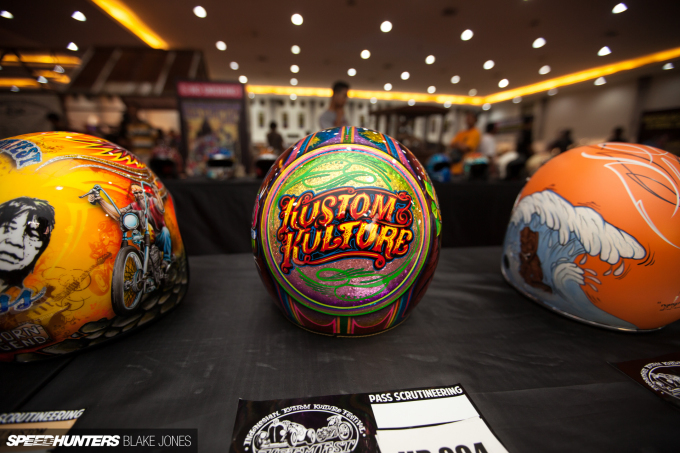 Kustom kulture has had a resurgence in recent years around the world, but the hub has for the most part remained in America. One notable exception is Japan (it’s always Japan, isn’t it?) 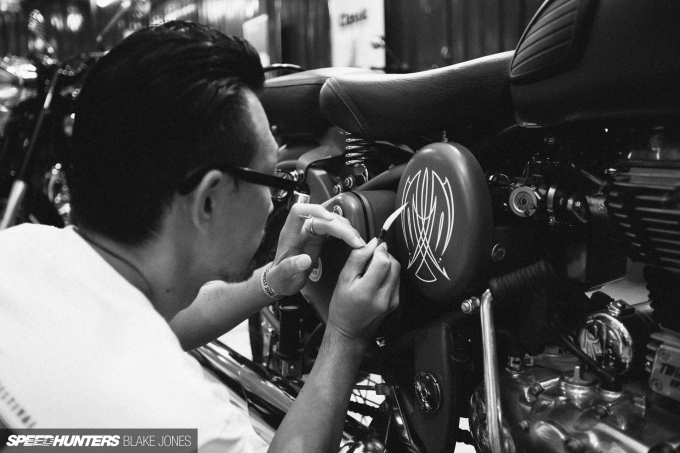 where craftsmen elevated the level of customisation through application of insane attention to detail and that unique Japanese knack to balance outrageous creativity with considered restraint, producing cars and bikes that just work when considered as a whole. 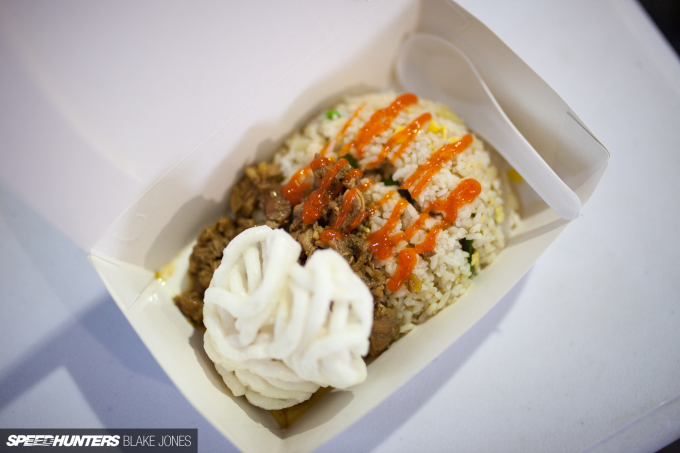 It’s unsurprising then that American and Japanese influence is easily spotted here in Jogja. 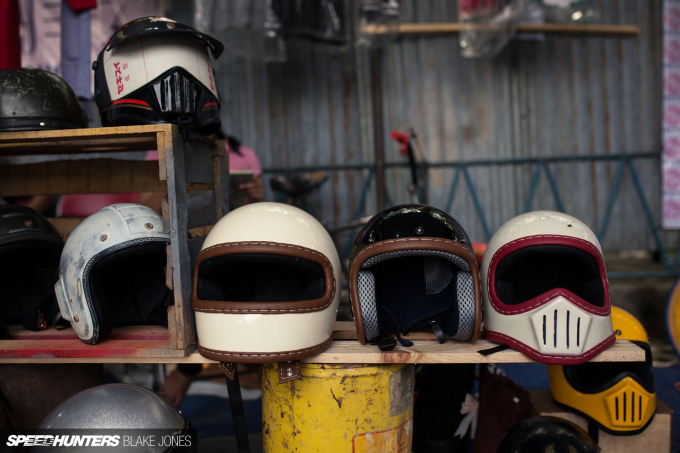 When it comes to cars and bikes, many are easily filed into existing sub-categories: chopper, bobber or cafe racer, rat rod, muscle or lowrider. 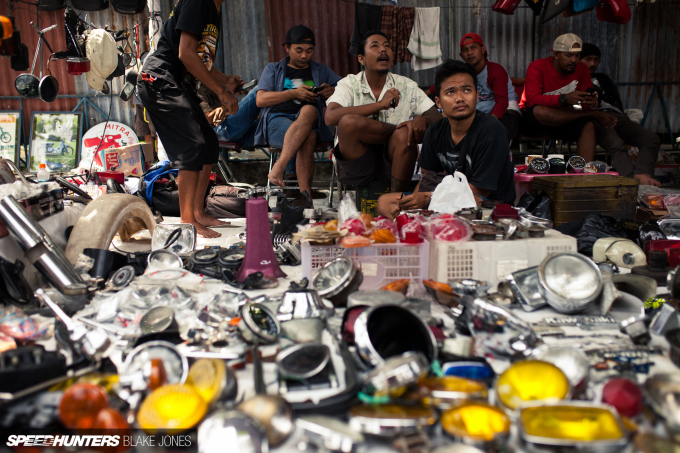 What is becoming clear, however, is that the creativity and quality coming out of Indonesia is on track to surpass any of the historical pioneers of the scene. 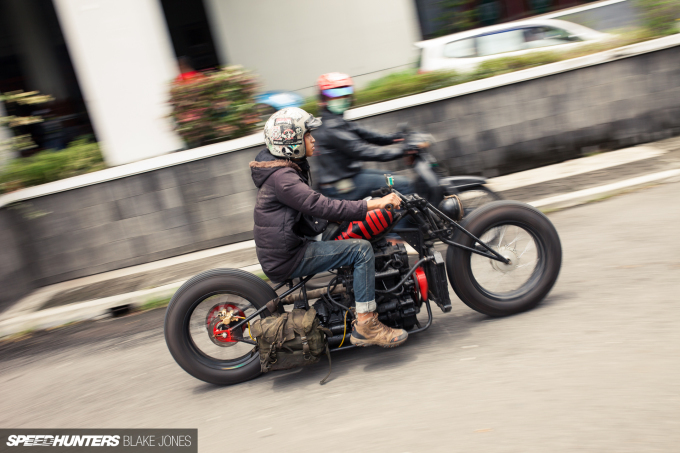 Take for example this motorcycle completely crafted by hand around – get this – a five-cylinder rotary engine (not unlike what you would find at the front of a WWI fighter plane). 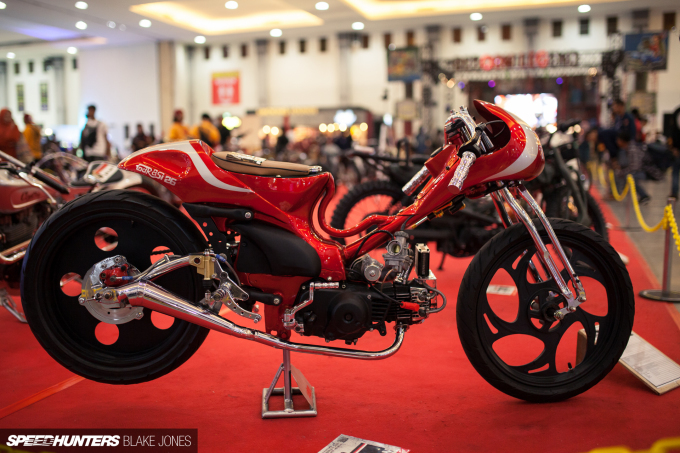 This is impressive enough on its own, but then consider that the engine itself is a custom creation consisting of five Honda Super Cub heads mounted to a central crank case that was made, from scratch, by a self-taught mechanic. Feeling lazy yet? 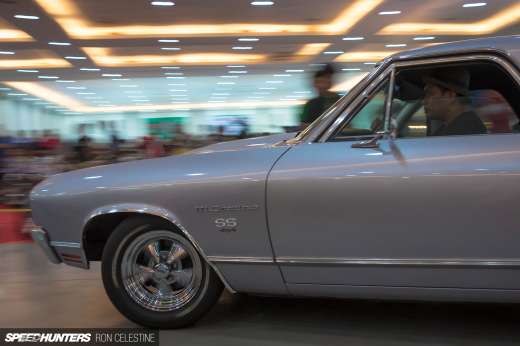 Why take my word on it when you can hear the exact same sentiment from Shige Suganuma, head of Mooneyes Japan and veteran guest of the Kustomfest show. 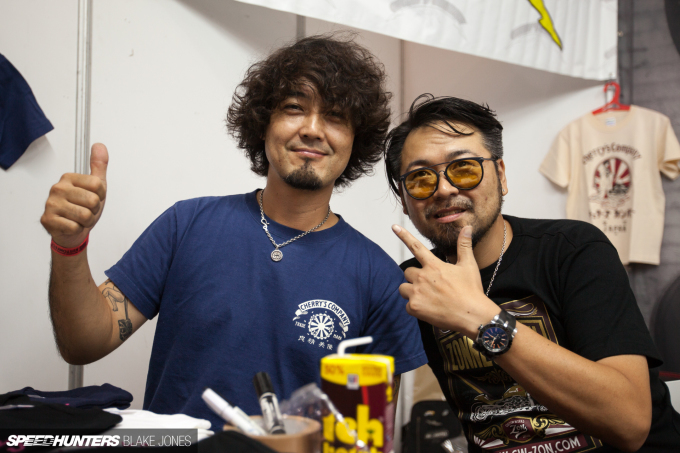 Shige is treated with (deserved) reverence by the builders in attendance, but he shows the same level of respect to these local creators who are pushing the limits of custom style. 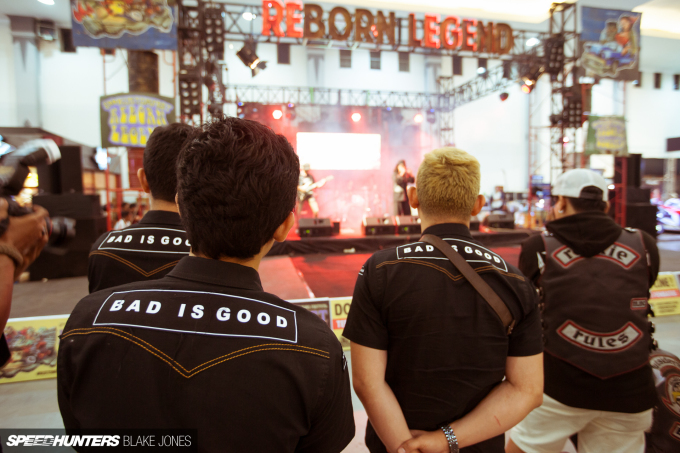 Also in attendance were fellow Aussie guests from Fuel Press, four-year Kustomfest veterans who can take much of the credit for opening up Indonesia’s scene to the outside world through their sharp print publications Tank Moto and Fuel. 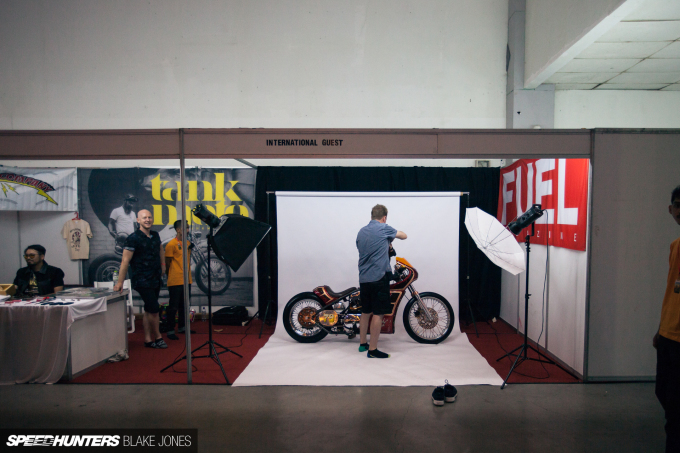 Editor and photographer Luke Ray brought along a mobile studio setup to isolate the show’s best bikes for an onsite studio shoot, a stroke of genius when you consider that events like these rarely have event lighting that favours photography of shiny cars and bikes. I was only half joking when I said I’d bring a car-sized one next year. In many ways, abundance is the enemy of innovation – the more we have to pick and choose from, the less we need to fall back on our creative abilities. 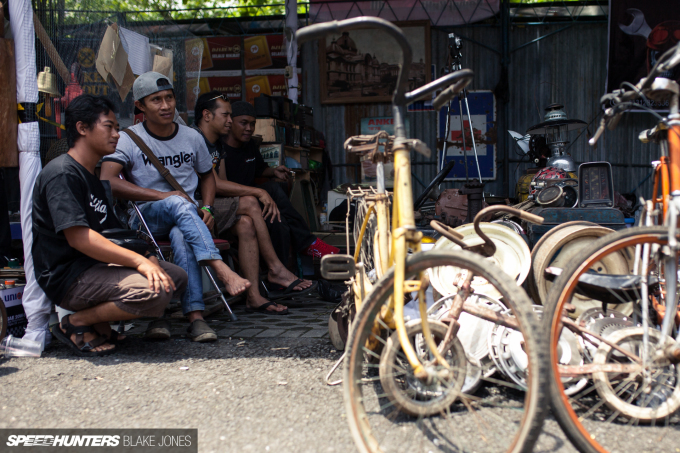 Nowhere is that more clear than in Indonesia, where builders will happily modify the sort of bikes and cars that we in Japan or America might just pass by. There seem to be no limits to what is possible. 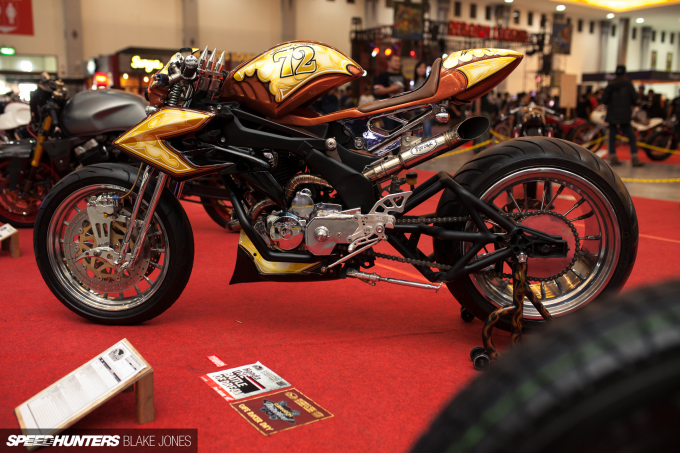 Take for example this completely custom creation, featuring a Ducati-esque L-Twin engine custom made from two Honda scooter units. 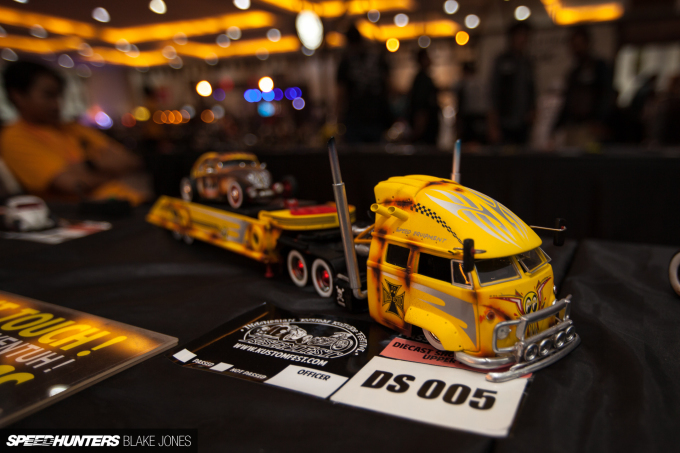 I’m noticing more and more shows reserving an area for the display of customised model cars, a trend I can really get behind. The limitations of ‘practicality’ and ‘reality’ don’t need to apply to these scale creations, so why not build a chopped, mid-engined V8 Kombi dragster? 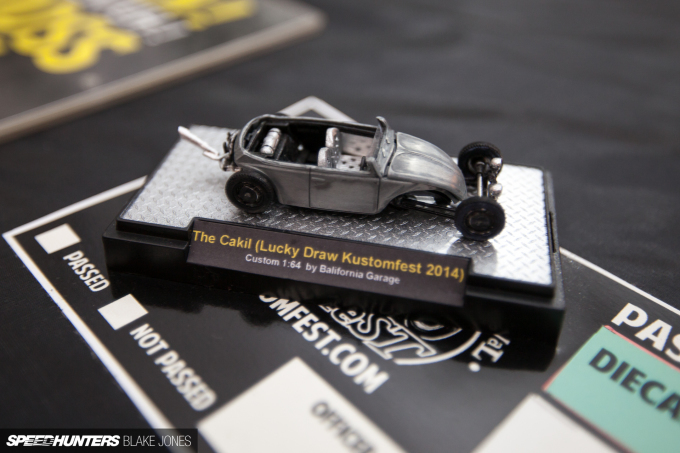 The Cakil, a bug built as a giveaway at the 2014 event and received a huge deal of international interest, had it’s own scale recreation. I had to laugh when I noticed the models used the same entry cards as the real cars, and thus had a tick-box for scrutineering, perhaps to be ticked by the world’s smallest vehicle scrutineer? 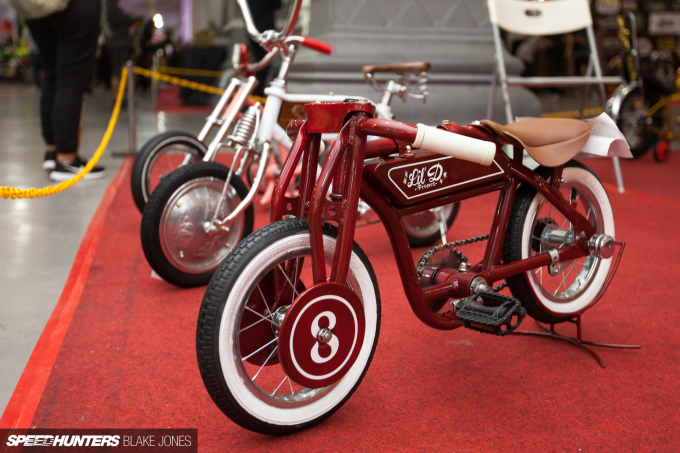 There had to have been at least 20 customised kids bikes, covering the bases from chopper to cafe racer and everything in between. 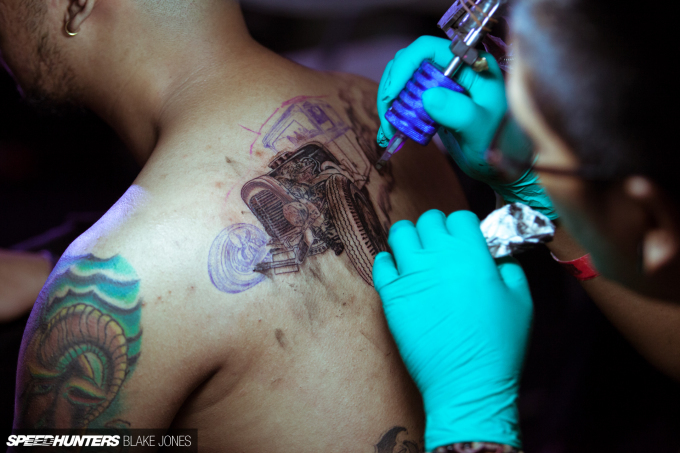 Even human flesh wasn’t off limits for customisation; a sectioned-off area of the show featured no less that 12 local tattoo artists giving guests the ultimate Kustomfest souvenir. Check out the detail on the hot rod back piece! Resisting the temptation to add some colour to my skin, I turned to Mooneyes Japan’s Hiro ‘Wild Man’ Ishii to breathe some new life into my battered old Wayfarers. 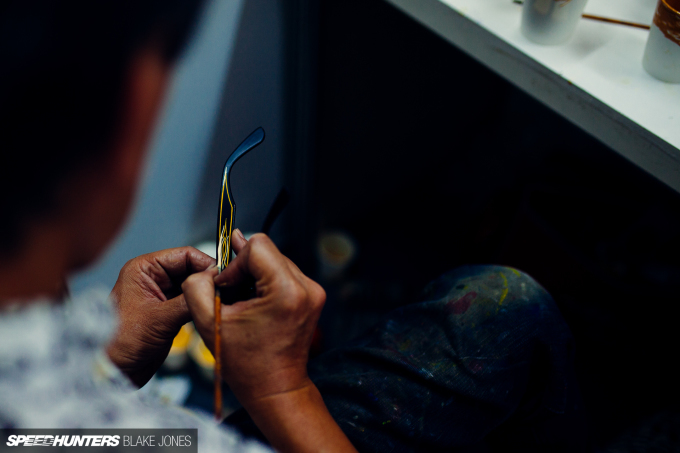 The process was painstakingly slow – the design improvised and painted freehand – Wild Man turning the frames in his hand after every stroke to ensure that perfect symmetry was retained. 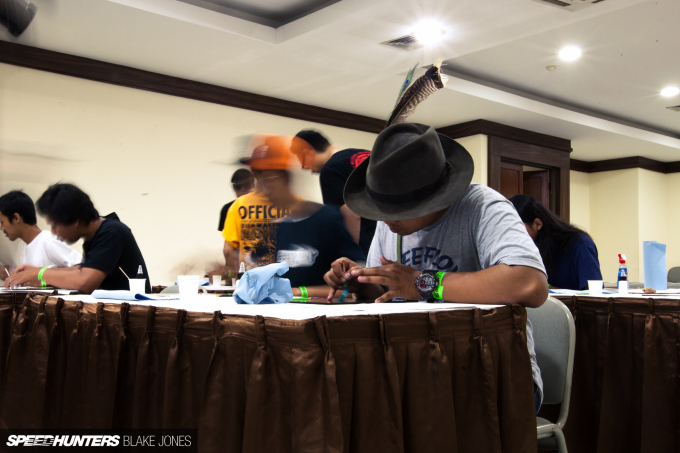 Surgeon-steady hands are required for such an intricate job, so while the rest of us threw back beers and puffed on Indonesian cigarettes at the end of the day, Wild Man abstained and turned into bed early. I guess that’s how he earned the name. 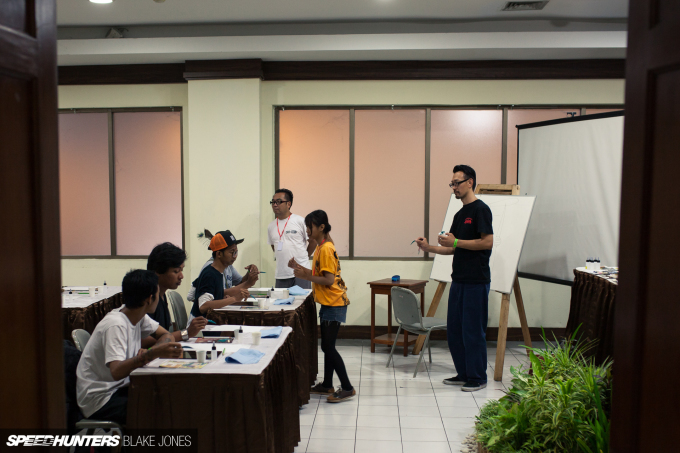 Fellow Japanese pinstriper ‘The Nash’ of Boo Pinstriping held a two-hour pinstriping class for enthusiastic youngsters early on Sunday morning, translation provided from Japanese to Bahasa Indonesia by a bilingual volunteer. 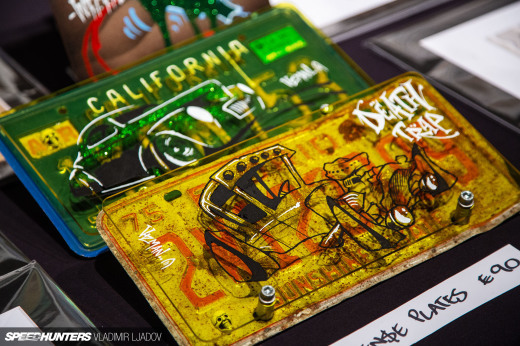 Unfortunately, the younger generation in Japan is growing up less interested in this form of automotive artistry, preferring smartphone games and social media profiles, so it’s reassuring to see the skills of these masters being passed on through international (and language) barriers. 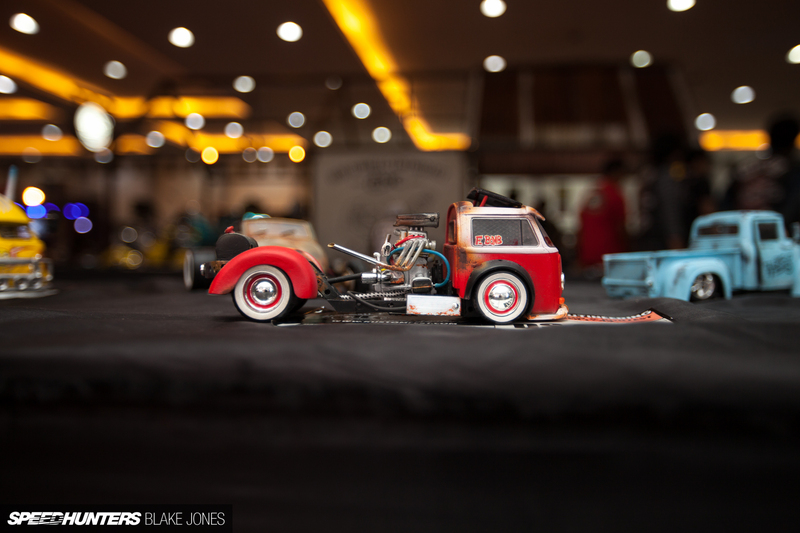 Another exciting element of the handiwork on display at Kustomfest is the willingness of builders to imbue their creations with a strong regional cultural flavour. 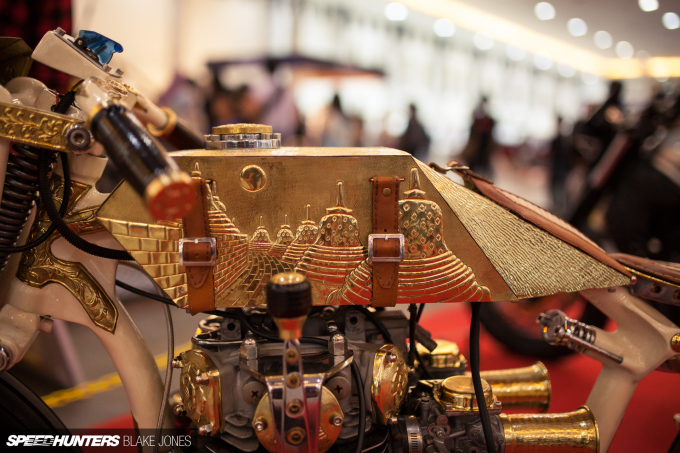 It’s impossible to mistake the origin of this bike with the iconic perforated stupa of the world heritage-listed Borobudur temple engraved into the fuel tank. While bikes outnumbered cars four-to-one, there was a quality contingent of interesting four-wheeled vehicles for visitors to feast their eyes on. 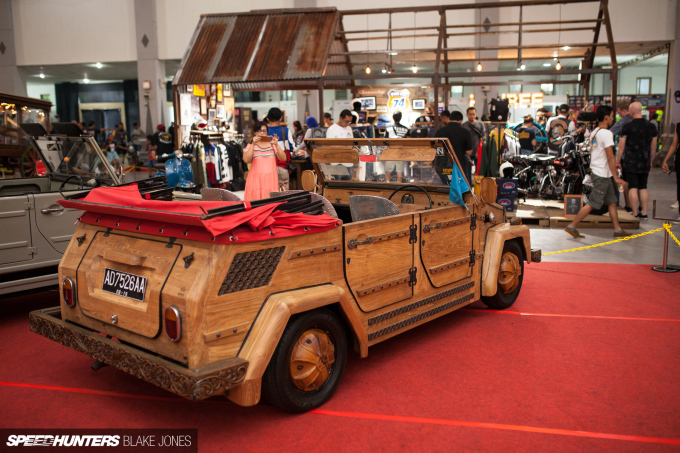 The Wooden Thing cleaned up the awards at the Jogja Volkswagen Festival and was back turning heads at Kustomfest. 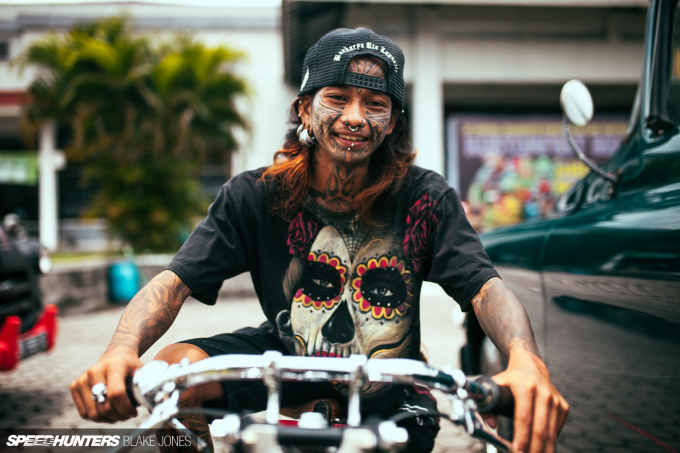 Car culture is growing quickly now in Indonesia as the country becomes more and more affluent, with many average Indonesian families only now trading in their scooters for the comfort and luxury of a car. 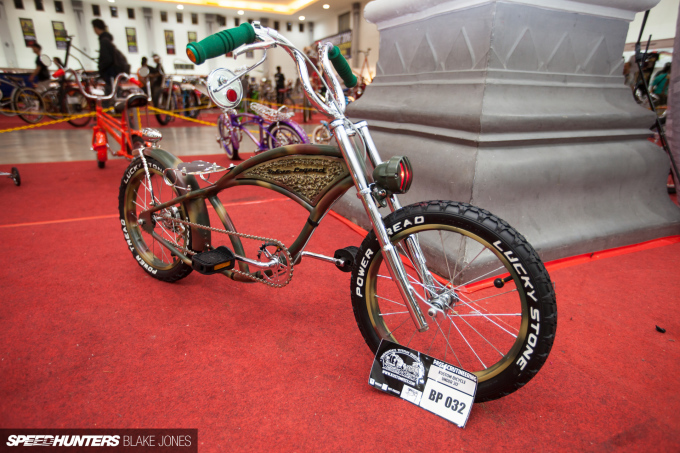 In coming years, no doubt many of the bike builders who have exhibited at Kustomfest will turn their hands to automobiles and the results are sure to be worth looking out for. Some are already starting to experiment; this rod is based around an inline-six Mercedes-Benz engine that its owner had sitting in his shop. 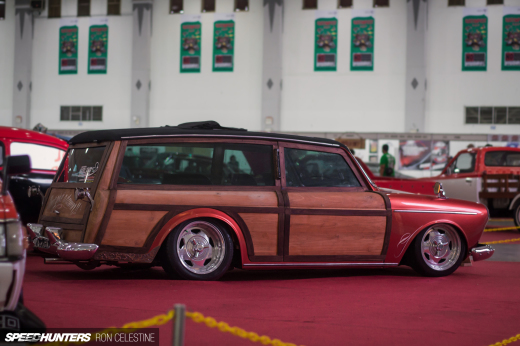 The body, rather than being borrowed from a Model T or something similar, is custom made. 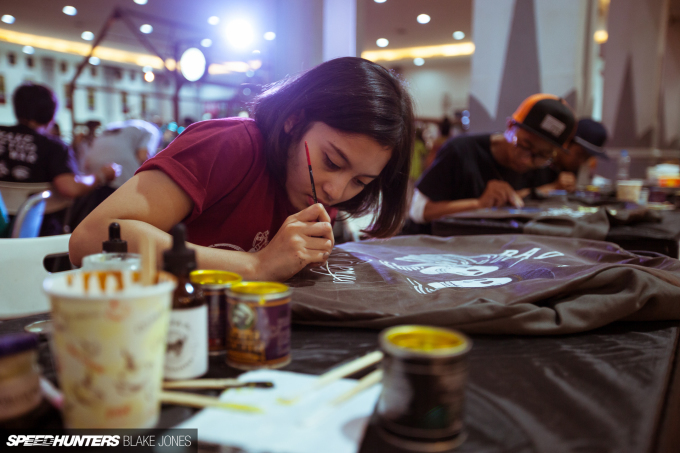 ‘Diversity’ is one of the buzzwords of 2016, and Kustomfest introduced its own affirmative action program by inviting a small selection of Japanese models to balance out the American and European ruling class. 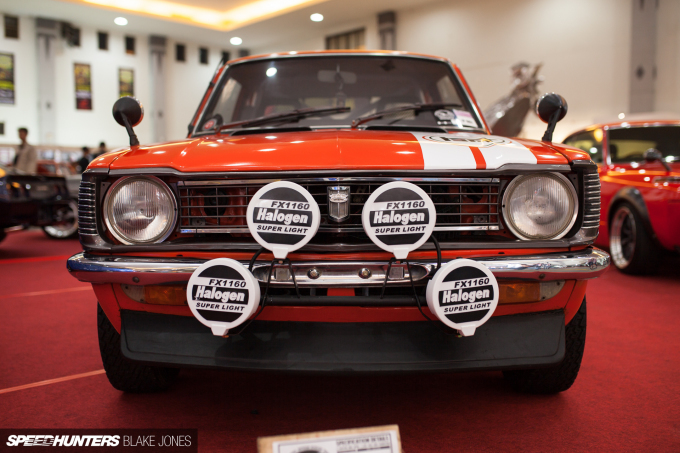 1970s rally is about as pure as motorsport gets, and the owner of this E25 Corolla coupe was paying homage in all the right ways. 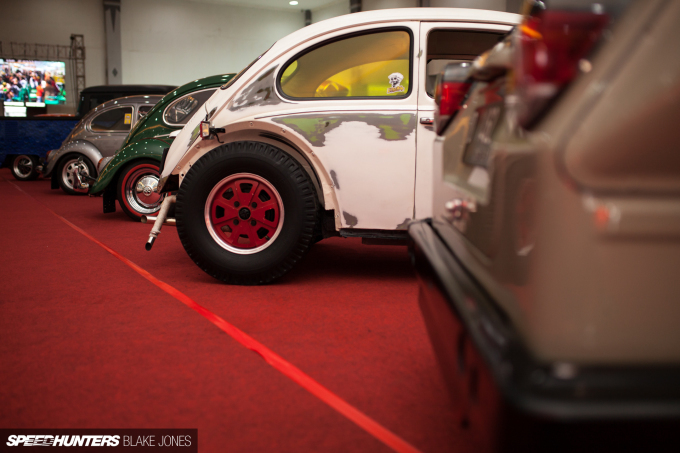 Was it completely out of place at Kustomfest? Maybe, but who cares! 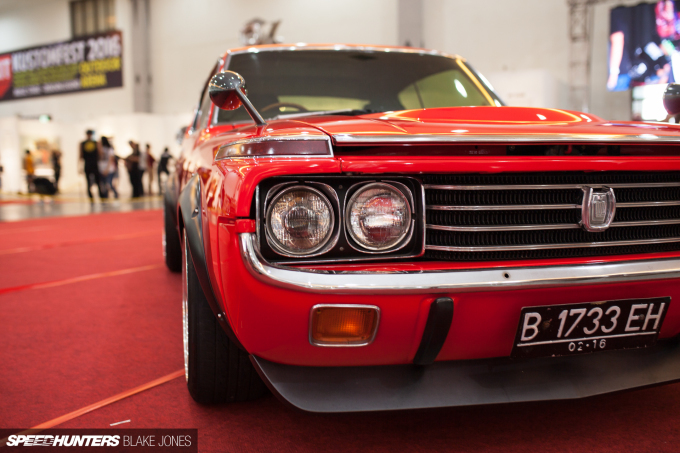 The sole other Japanese car was this handsome Toyota Crown coupe, adorned with bolt-on flares and rear spoiler that at a passing glance had me thinking that perhaps a Hakosuka GT-R was in attendance. 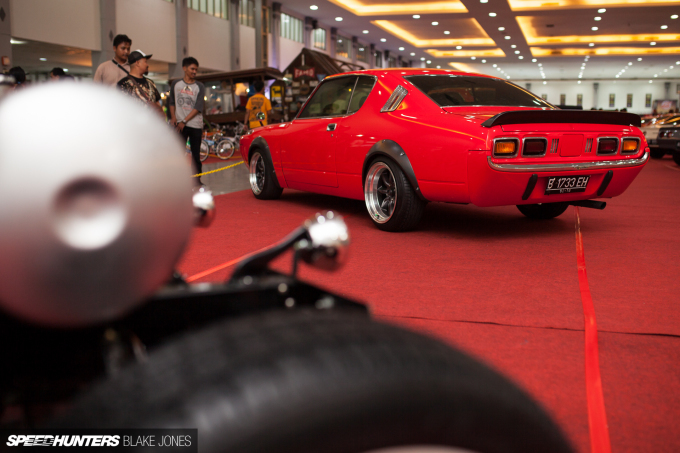 The Toyota otaku out there may notice an unusual bonnet-line bulge, which is always worth investigating further. I pulled this car aside after the event for a more private inspection, so hang tight for more. 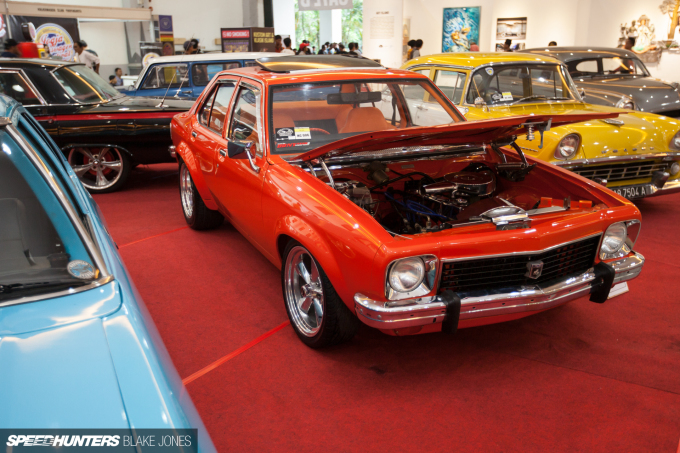 Indonesia is one of the very few foreign countries that took delivery of Australian-designed and built Holdens, like this LX Torana sedan. It’s still a thrill seeing these outside Australia, exacerbated by the huge amount of passion the local clubs have for these Aussie muscle cars. Classics like this mustard Holden FB Special are exceedingly rare even on Australian roads. Resplendent with fins, chrome and wire wheels, it’s ’50s Americana at its best (albeit from 1960s Australia). 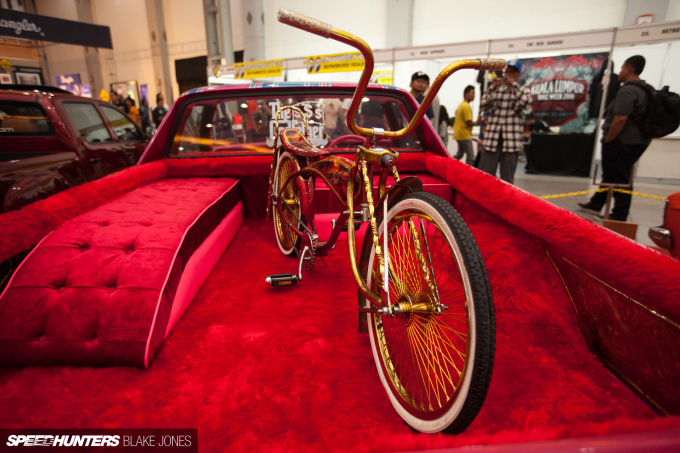 And in what must be the most confounding blend of cultures I’ve ever witnessed, a once humble Holden Kingswood ute has been transformed into a flashy lowrider, complete with a matching stretched bicycle in the velour-lined tray. 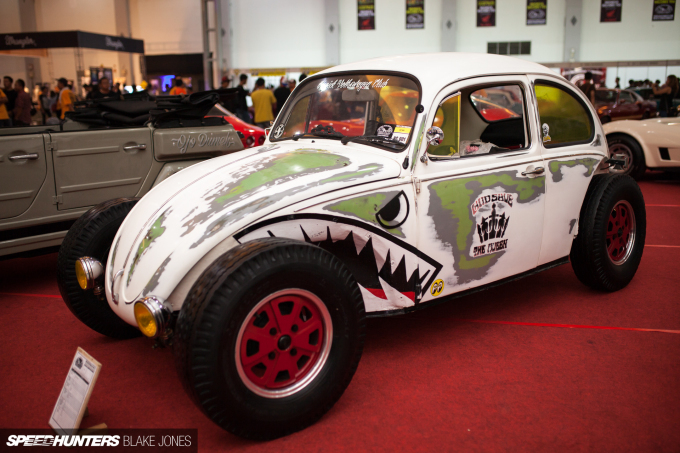 The quality of the metalwork, airbrushing and upholstery was top-notch, and its owner is currently designing an air suspension system to give it the ground-scraping stance it truly deserves. 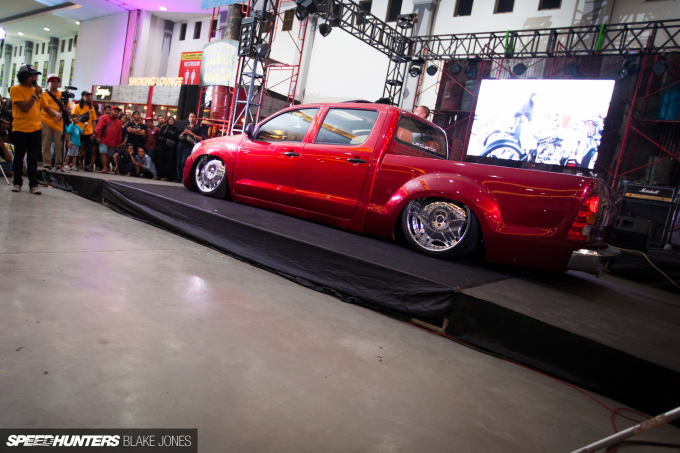 On the subject of ground-scraping stances, this late-model Hilux wouldn’t look out of place in an Australian mini-truck meet; practicality almost wholly surrendered to the ‘low and slow’ ethos. 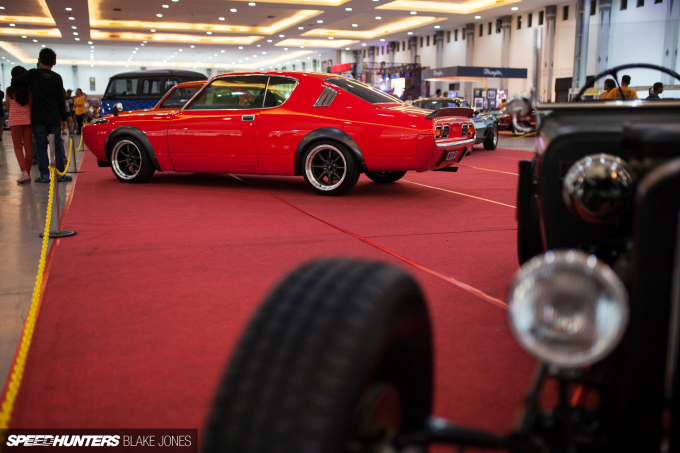 True American muscle cars like the Mustang were never available new in Indonesia and only a few have entered the country via private import since. For many attendees at the show, it’s likely their first time seeing a car like this in the flesh, which must a be a pretty special moment. 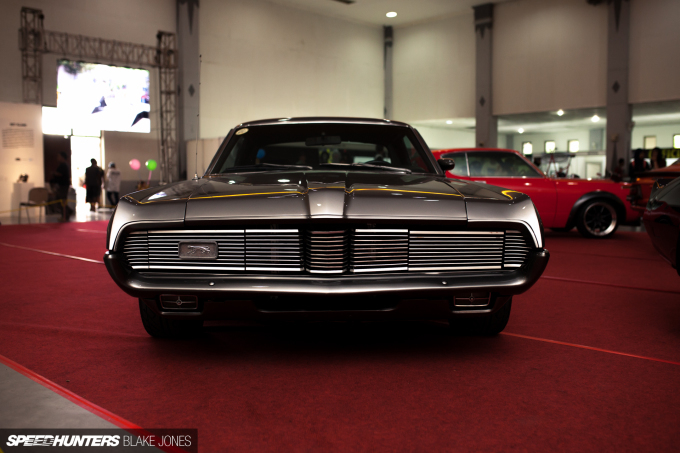 Joining the ‘Stang was this menacing Mercury Cougar lowered onto modern five-spoke three-piece wheels. 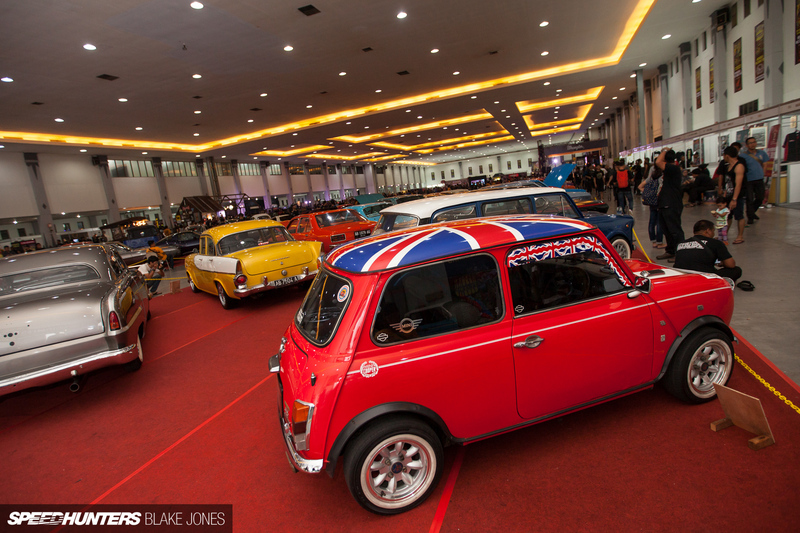 And rounding out the display of four-wheeled vehicles was another icon of style – this immaculately-presented but slightly lonely Mini. 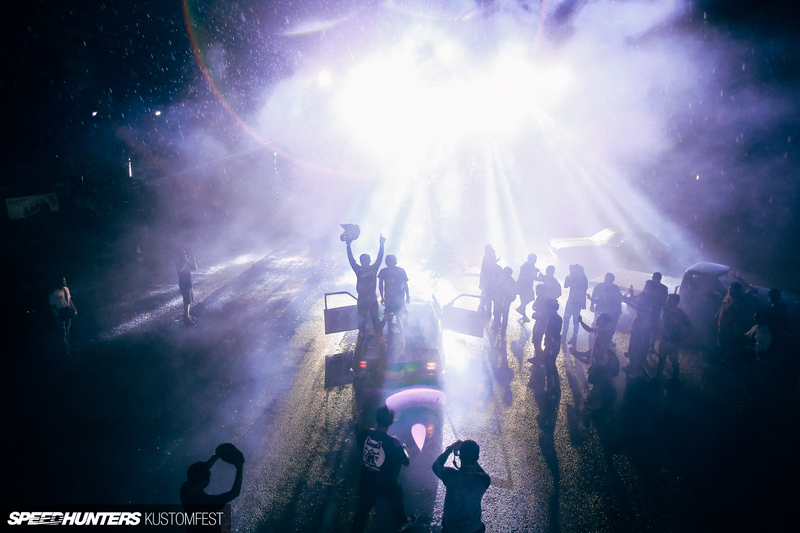 What really stands out at an event like Kustomfest, above all else, is the people. 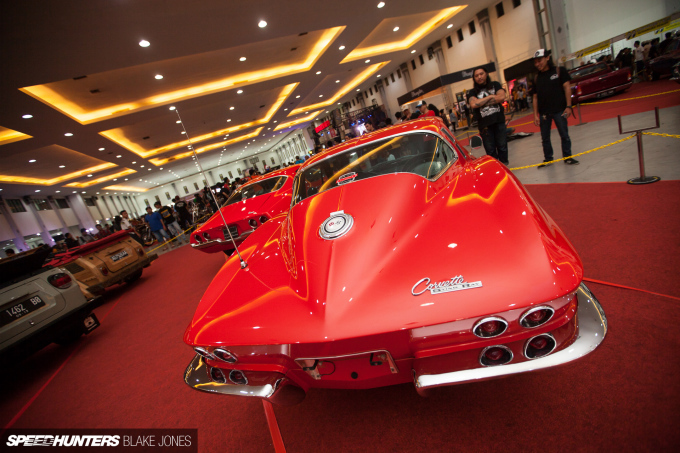 The overwhelming sense of community at an Indonesian car show is something that every enthusiast should experience at least once. The pretentiousness that afflicts many automotive subcultures is completely absent; here it’s just a shared love for a carefree lifestyle where rules are merely a suggestion. 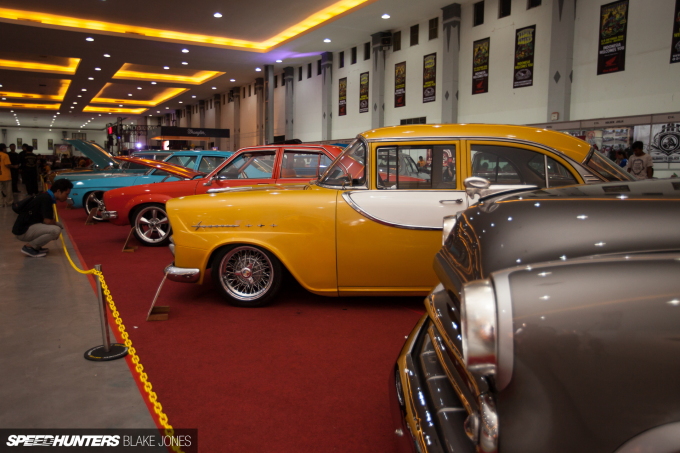 Old and young, rich and poor, local and foreign – they’re all titles that lose their meaning as soon as you step over the threshold into Kustomfest. 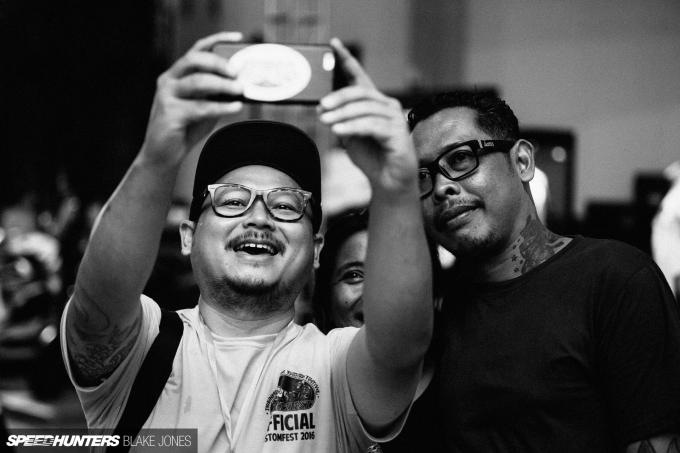 The organiser of Kustomfest, LT (seen here displaying his mastery of the selfie technique), lives this ethos to the max. 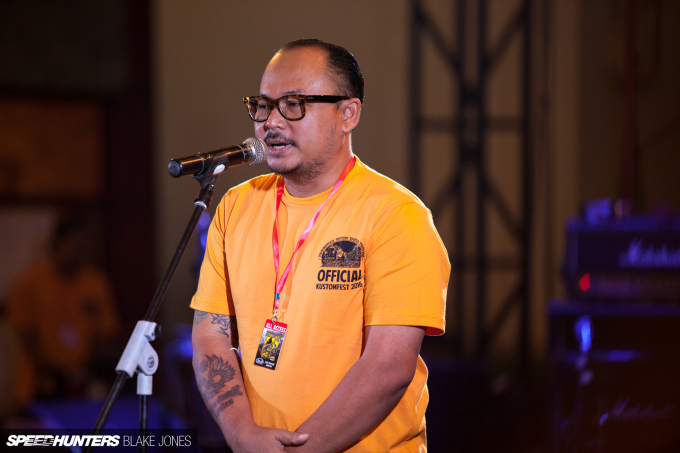 Despite being the busiest man in the world for this one weekend every October, he makes time to ensure every guest is enjoying the show as much as he is. 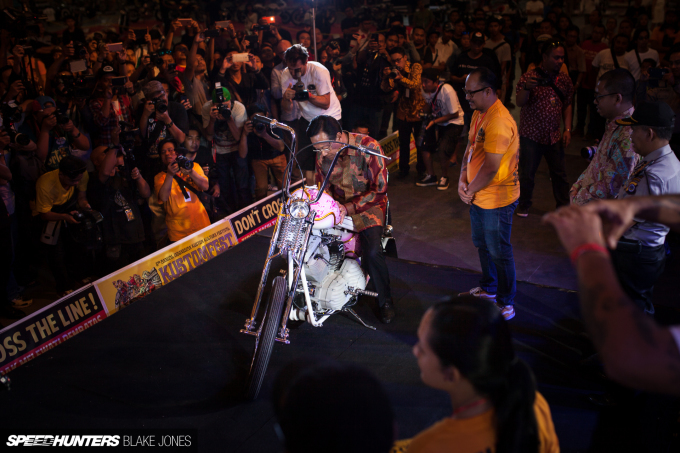 Even the Sultan of Yogyakarta joined in the festivities, formally opening Kustomfest before adding his autograph to the custom chopper built by Retro Classic Cycles that was being given away to one lucky ticket-holder at the conclusion of the event. 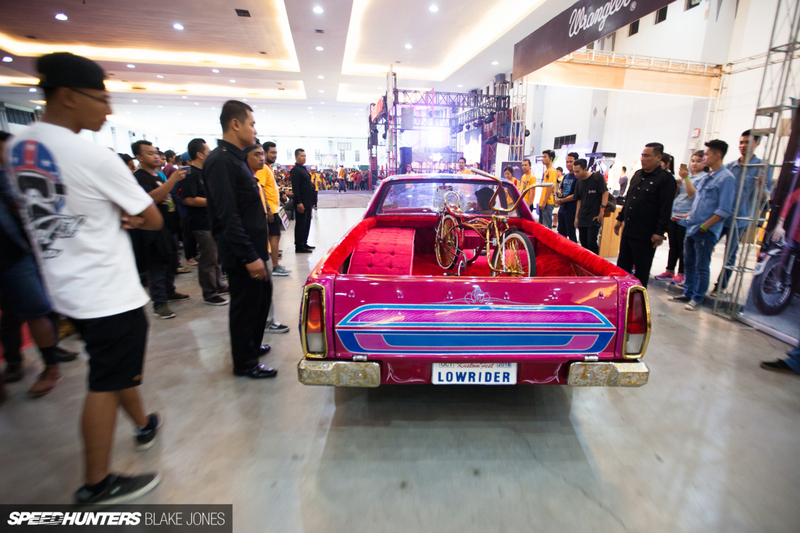 Indonesia’s ascendance to the top of the kustom world is far from complete, but it’s impossible to walk away from an event like this and not feel electrified by the creative energy buzzing through the air. For a scene that at first glance seems obsessed with the past, the innovation truly is astonishing. 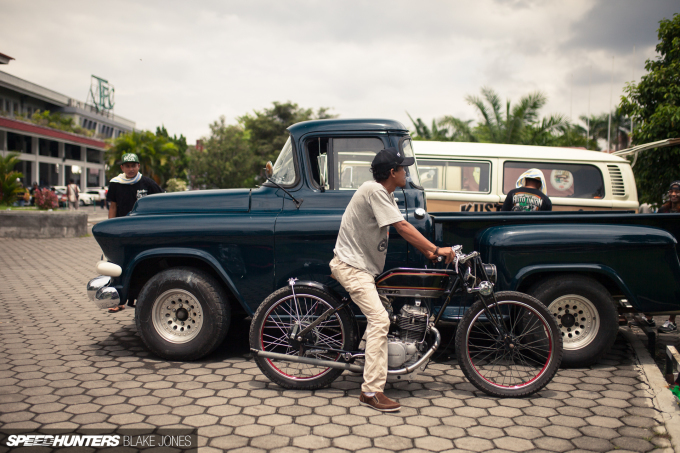 For sure, Kustomfest is a little outside the realm of what I’d consider a regular day of Speedhunting – half music festival, half art show and with more motorcycles than cars – but the culture was so rich and diverse that I think we can all learn a little from our Indonesian friends. 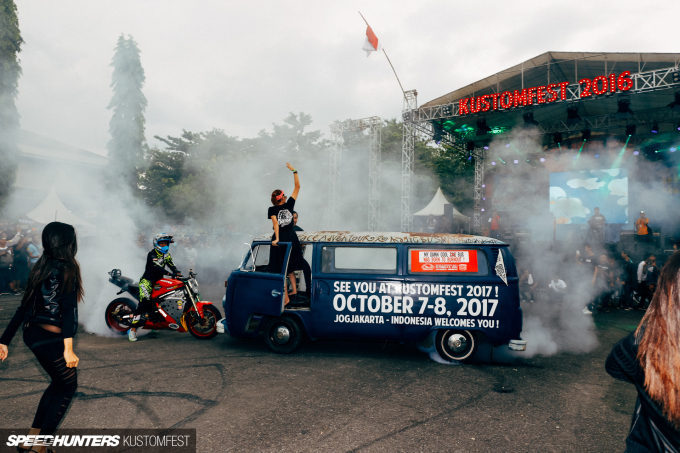 See you at Kustomfest 2017! It doesn't matter what you've got, you've just got to stand out! oh, side note, for those who haven't picked up a copy of Fuel. Do so, immediately. Great job man, I loved the read! You've transported us all there to be right beside you on the day! It's really cool to see the ways automotive culture manifests across the world. 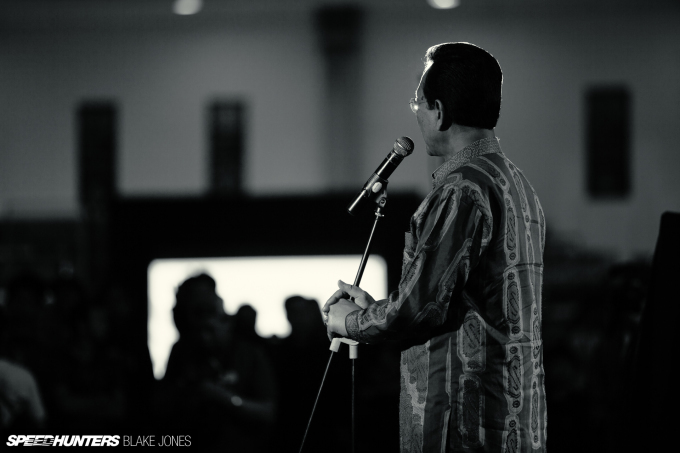 Thank you for the awesome view into Indonesia! 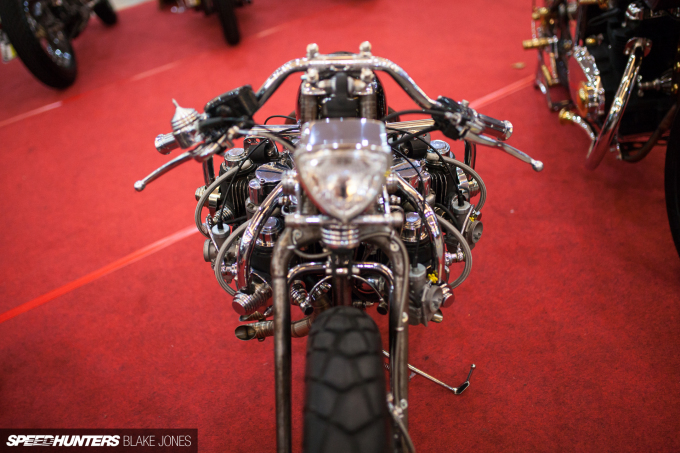 The one question I have is whether that amazing motorbike is really a rotary (which would imply that the whole assembly spins like mad when you rev the engine, which I can't help but think would be horrendously dangerous) or a radial engine (which would make infinitely more sense). Radial engines were used extensively as aircraft engines later in WW1 and throughout WW2- in fact the most powerful aero engines of WW2 were the big American radials used in the late-war Pacific-theatre Navy aeroplanes. Radial engines were also used in a number of US tank designs, including one of the most heavily produced tanks of the war, the M4 Sherman. CaptainHat I noticed that too. 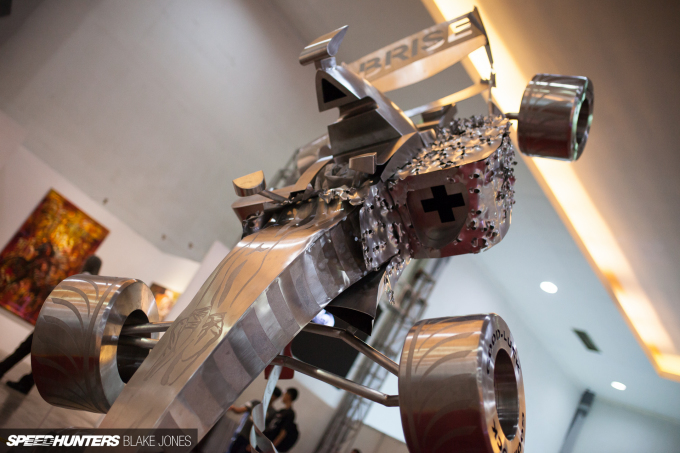 It's definitely a radial engine. 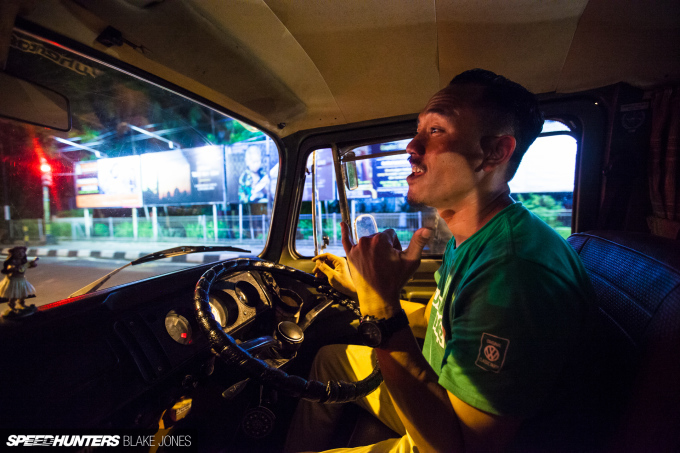 I'm glad you enjoyed the trip Blake and well done on a great article about the show. Any chance of a feature on that Cougar? Wow, that's some cool stuff. Man, I hope that guy riding the moto doesn't ever fall off the back of that seat. That rear wheel is gonna munch his nutz. 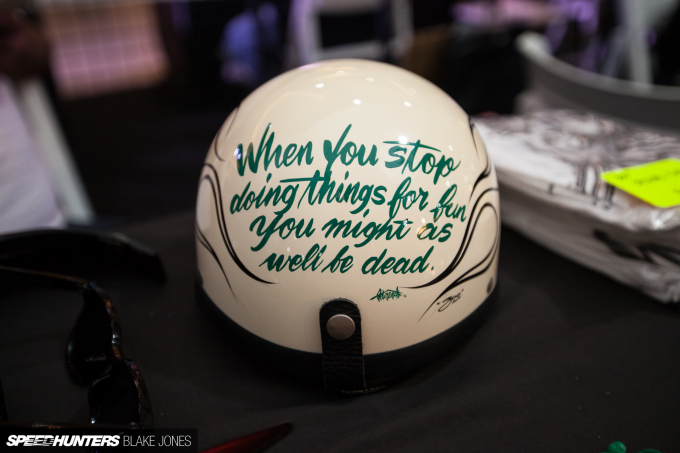 That seat on the custom moto #27, ouchee. And that bus doing a burnout...........that can't be stock. Nice to see such cool stuff where you may least expect it. Kudos to all. CaptainHat right you are - it's a radial engine. I've been spending too much time around rx-7's. WendaJ Thanks for having me! Fuel Luke Cheers Luke! 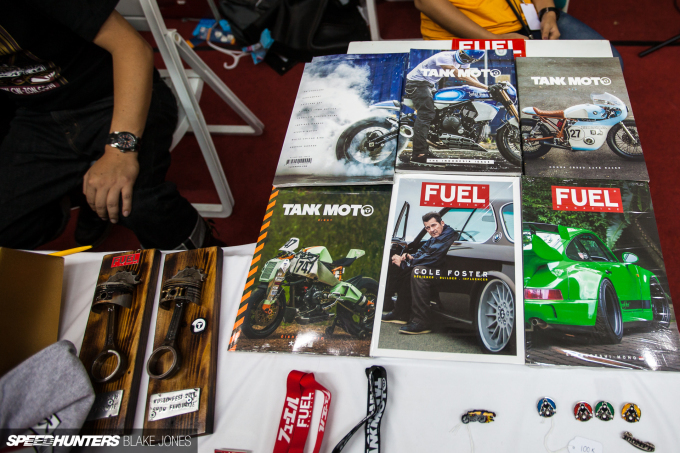 Look forward to the coverage in FUEL and Tank Moto. Do you have any info on the tattoo artist that is doing the hotrod? I cant find anything online about the artists at the show. 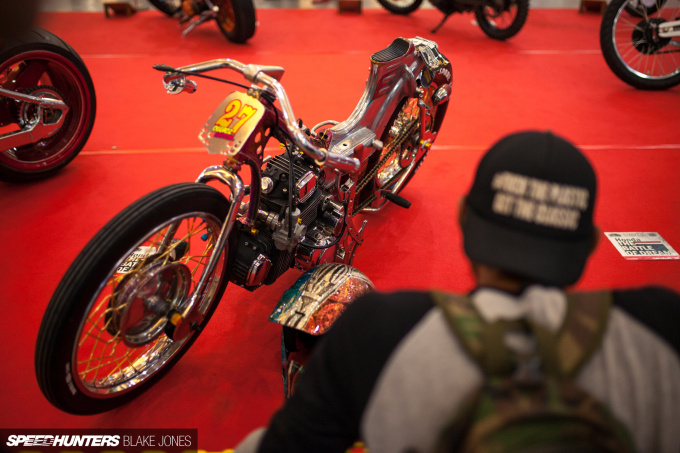 Please start featuring custom bikes as well! 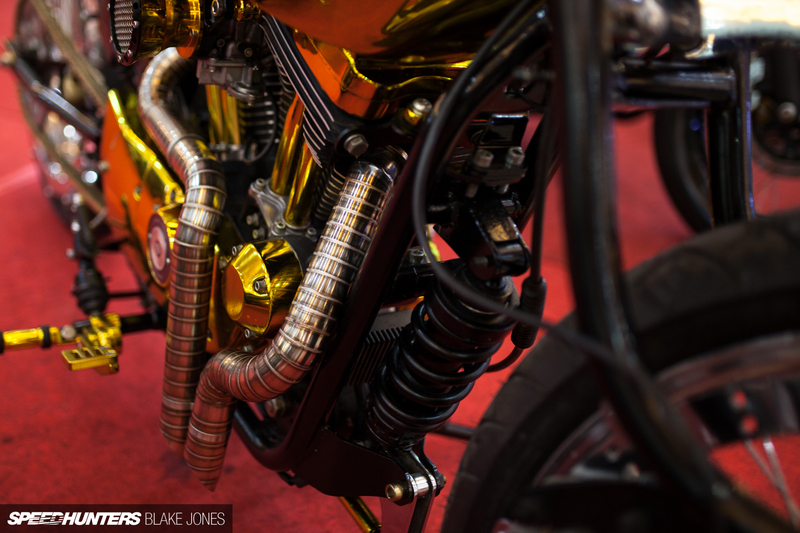 There is no bike blog that comes close to the quality of speedhunters!! Man, that looks like a hell of a show, I'm gonna need to get out there someday. 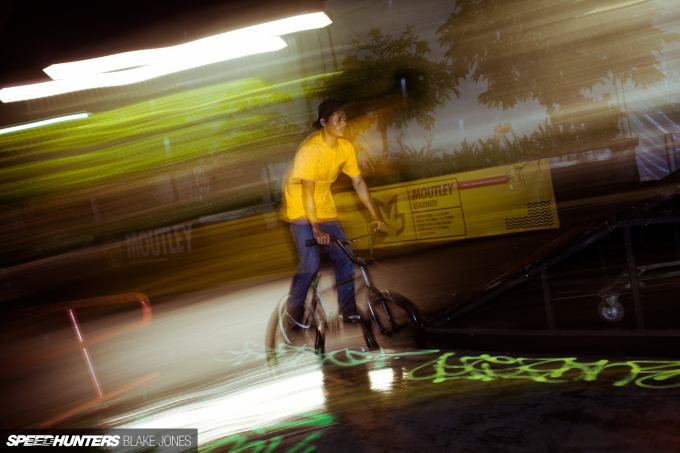 And yeah, we'd love to see some bike coverage! Nothing wrong with two wheels!! 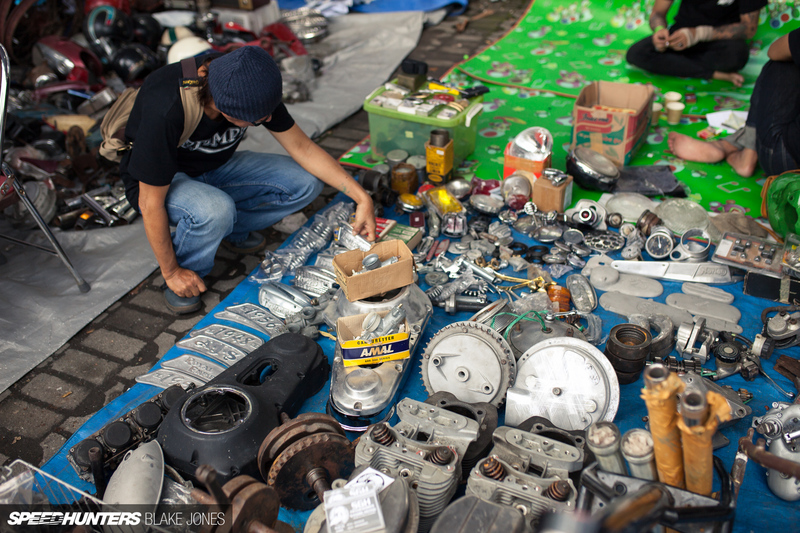 as long as the same passion and drive is there any motorhead can relate! Thanks for the great coverage! Makes me want to make my way out there one day!